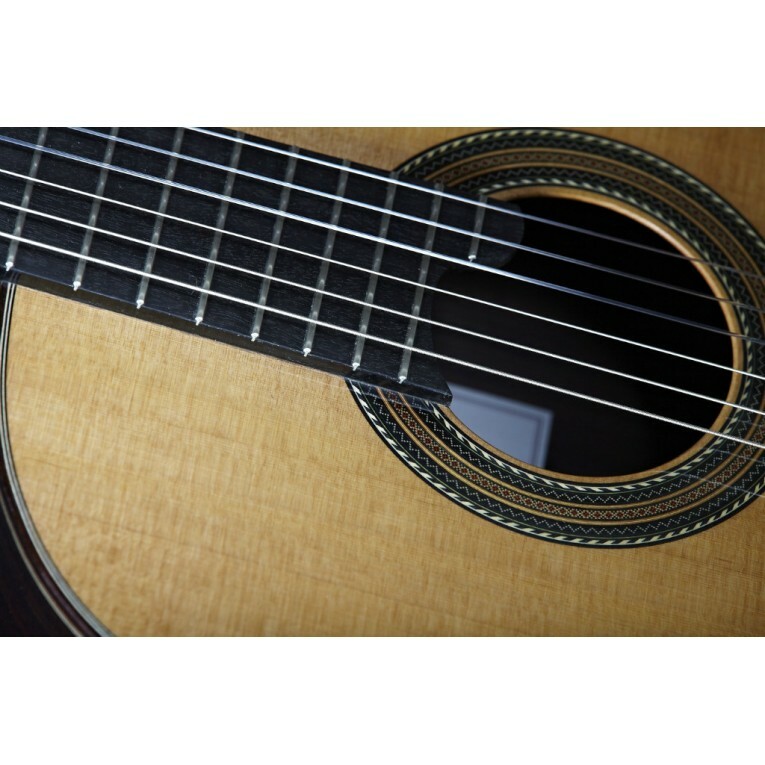 The guitar José Miguel Moreno C series provides superb sound response with surprising power and plasticity. It is very accommodating and responds to both a firm and a pliable touch. 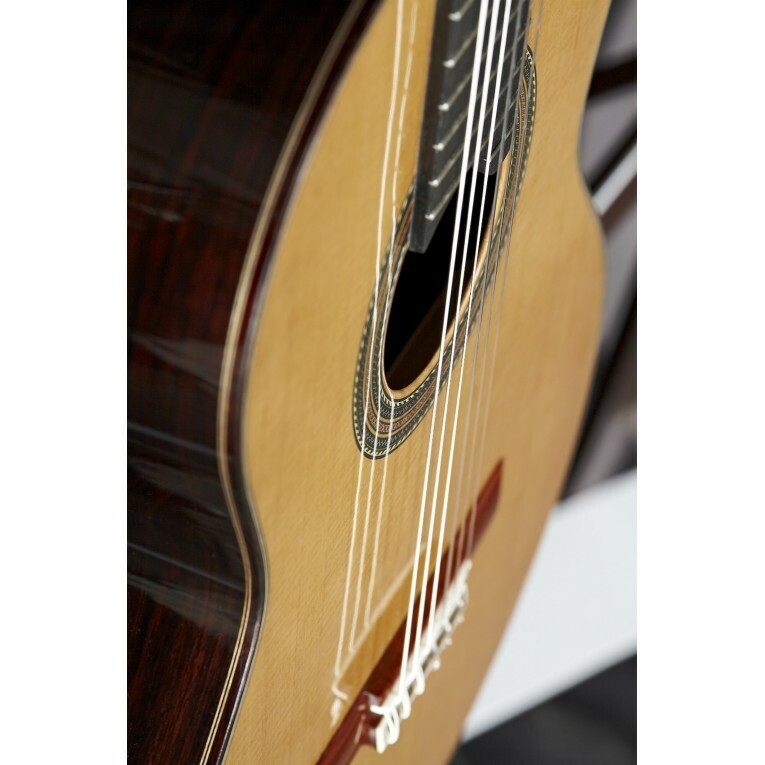 The range of expression is enormous and offers much really surprising harmonic potential. 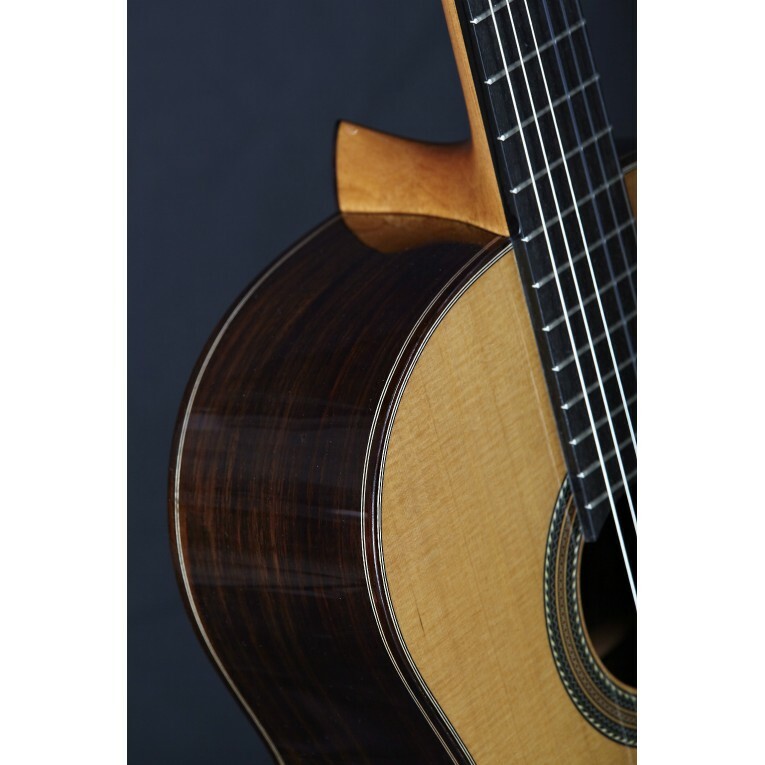 Intelligence, knowledge, experience, exquisite woods and willingness to advance are the required ingredients used in the elaboration of this guitar, which shows Alhambra's desire of improvement. 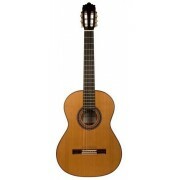 This model possesses the best advances of the modern guitar construction of the firm. 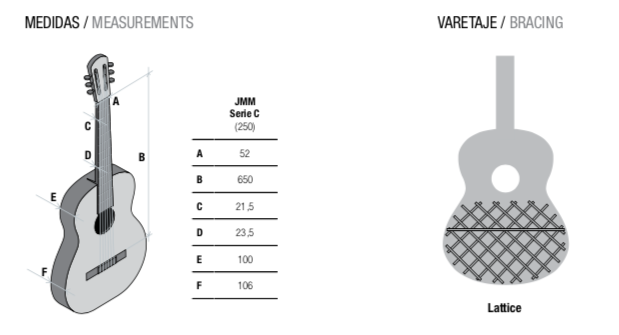 Based on the long tradition of the Spanish guitar, The Alhambra JMM Serie C bet on the sonority, the power and the instrumental response which is able to satisfy the requirements of the most demanding guitarists. 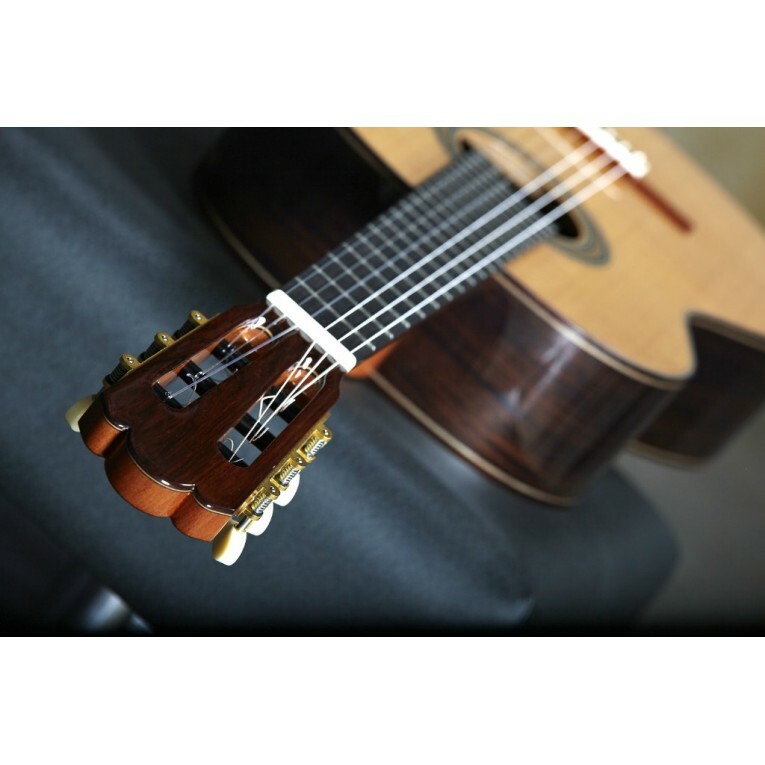 If you are looking for a modern sound, with incredible sound performance, and an elegant and distinctive instrument at the same time, this is the best choice. 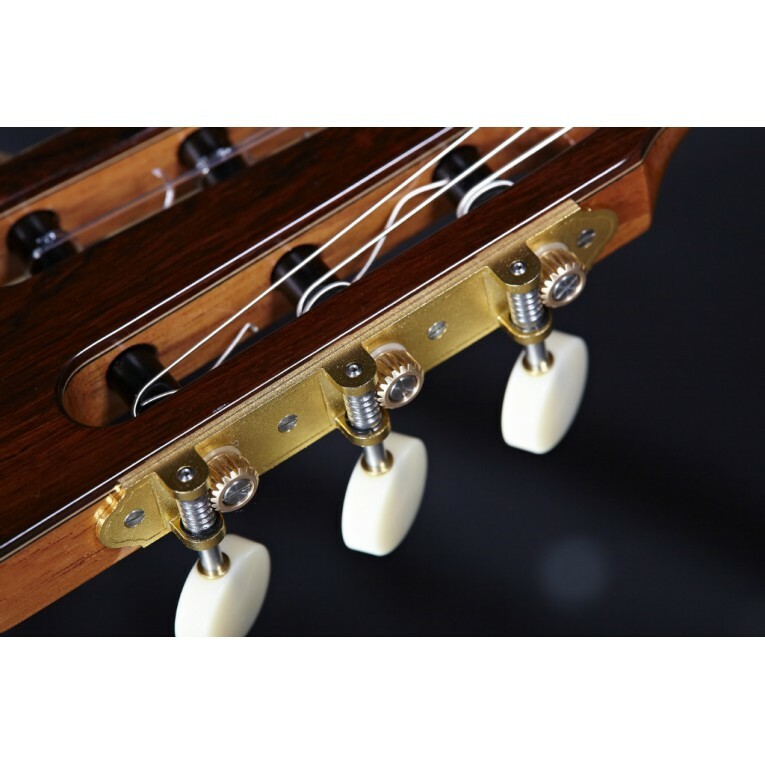 The guitarist will enjoy playing the instrument and the audience will greatly appreciate the high level of clarity, power and balance characteristics of a good performance. Alhambra's carbon fiber guitar case included. Availability: The delivery of this model may be higher than our standard delivery time due to its limited production. 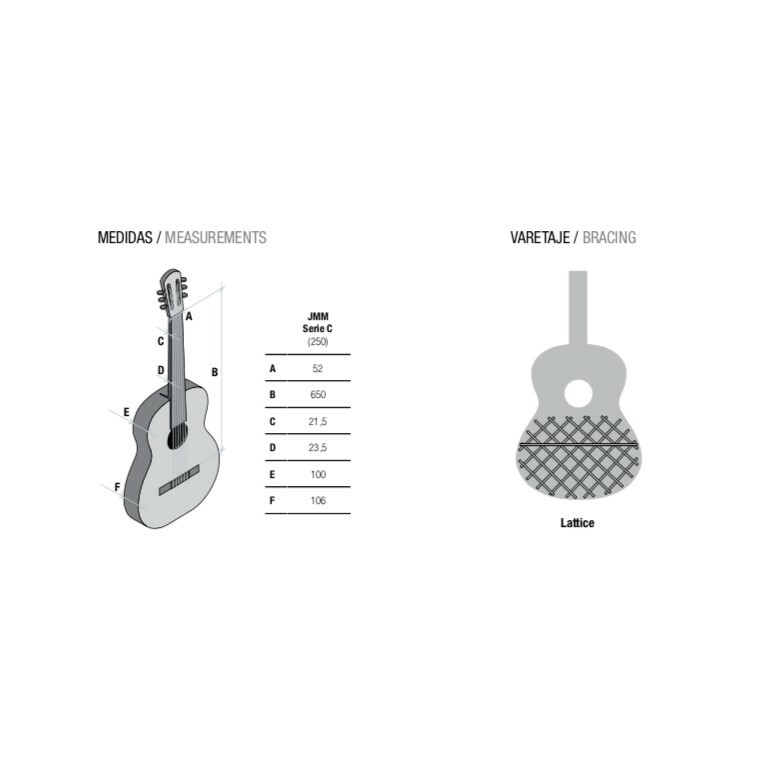 If you wish, you can contact us and we will offer you a more accurate delivery estimation.